How true it is! I got a first taste of the Oman’s hospitality on one of the flights which had a very adorable, lively and perky airhostess, whose name, ‘Zohra Mohammed’ still brings the recollection of her charming face! Having undertaken scores of journeys one rarely remembers the air hostess! A very friendly individual, she made us feel, the economy class passengers, no less than VIPs on board the Oman Air flight! We got to know of her Egyptian background which was in a way responsible for her ‘legendary Queen Nefertiti like features’, and a clear diction reflecting her good education. This was the first hand introduction to a country and its lovely people! We had planned our journey to Europe by Oman Air recently, and due to paucity of time had to skip the lovely destination! I regret the decision for not having been to this beautiful country. The immaculate white robed officials were immensely polite in the cool confines of the huge airport despite blazing heat outside. It was one of the rare things to find captions in Hindi and even announcements being made in Hindi, a welcome change on a foreign soil. 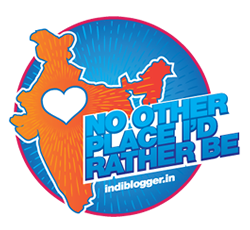 I could see more foreigners scrambling at Idli.com the lone Indian restaurant, at the sprawling airport for the Indian cuisine! Oman though an Islamic State, has a system of adult franchise to elect the government and also women are now stepping on the center stage to perform bigger roles. Every year 17 Oct is celebrated as Omani Women’s Day and many pro women events are held across the country. Since the year 2008, the women in Oman also have a right to own the land! This is truly incredible! 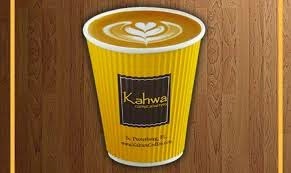 Among the foods I adore are the Omani Kahwa, or coffee/tea laced with cardamom powder and Halwa made from butter, wheat and sun seeds and pistachios and dates! Most of the other popular food preparations are meat and fish based which are very popular including the kebabs, shwarmas and biryanis! 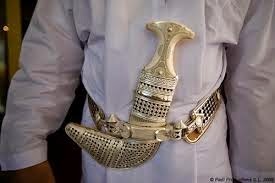 Given an opportunity to see the places in Oman, I would love to visit a traditional souk like Mutrah Corniche where the items like gold/ silver curved daggers are sold ! It was once said that there used to be so many people in such narrow alleys that one had to light a candle to find the way even during daytime due to darkness, as sunlight could not enter! 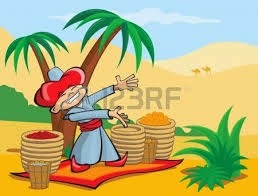 I wish one day, I too can experience the same in the wilderness of sand dunes of Wahiba ! A starlight night with Bedouins in company, with traditional music at a campsite would be a perfect outing in the midst of a desert! 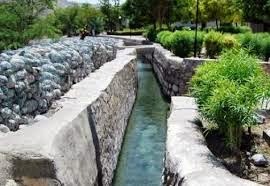 It will also give an opportunity to see the ‘Wadis’ in the vicinity. Some other things which would be well worth a pursuit while in Oman is a visit to one of the ‘Falaj’ or the traditional water irrigation system in Oman which is on the World Heritage List, undertake a frankincense trail where the frankincense trees grow, cruise on a dhow in the deep blue lagoons and also witness a camel race! The list keeps getting longer but at least these are a few experiences I would love to cherish on Oman holiday! The time to make up for the loss of missing out on the lovely destination and enjoy the warmth of the people is just around the corner. Agree, Saru, the dame luck smiles sometimes:) Thanks a lot ! Announcements were made in HIndi? Great! Most of the people I know go to Dubai mostly, Oman is new! Your description of the polite air hostess will remain in my mind and might look for her if and when I travel by that airways! You are tempting me to visit this place, Rahulji! My brother is in Muscat these days, for work and he keeps on telling me about all things Omani. Reading this, I guess I should plan a visit too as seeing Sand-Dunes is on the top of my list! Akanksha you do not have to look for any reason to travel as your brother is there:) Thanks a lot for reading! Thanks a lot Induji for reading and liking the post! Such an exciting post! I love that curved dagger, Rahul! Very nice to see you back Vidya! Your comments are always treasured:) Thanks a lot! I hope you win the contest!! It was nice reading your post :-) I've been on flights so many times but the times when you have a gracious air-hostess is extremely rare! Good luck to you!!! Historically,People of Muscat originally from Hyderabad. Thanks Mr Chowla for reading, and for an insight was not aware of! Hi Rahul, wonderfully described! 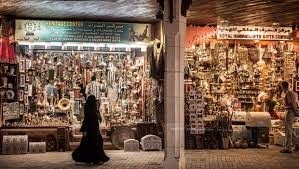 I was in Oman last far and found it to be very unique and interesting, its a more modern part of the middle east region. I noticed many Indian expats that work there too, very friendly. Thanks so much for your kind visit. Have a wonderful warm weekend! I'd love to visit this place you know? I hope I can do it some day! Hi Rahul, the Wahiba sands look amazing. 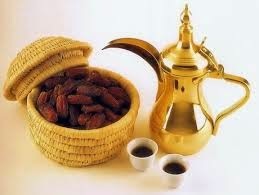 And I love the dates, I eat quite a few of them. I have heard a lot about Oman. Fascinating, isn't it:) And dates are just too good! Thanks for your comment, Rachna! Every time I visit your blog, my list of must visit destinations keeps getting longer and longer. Thanks a lot Radhika! Am sure you would love the place! Thanks for your kind visit, have a great weekend! Thanks Sam! Wish you a great week ahead! Thanks for visiting my Blog, Rahulji.